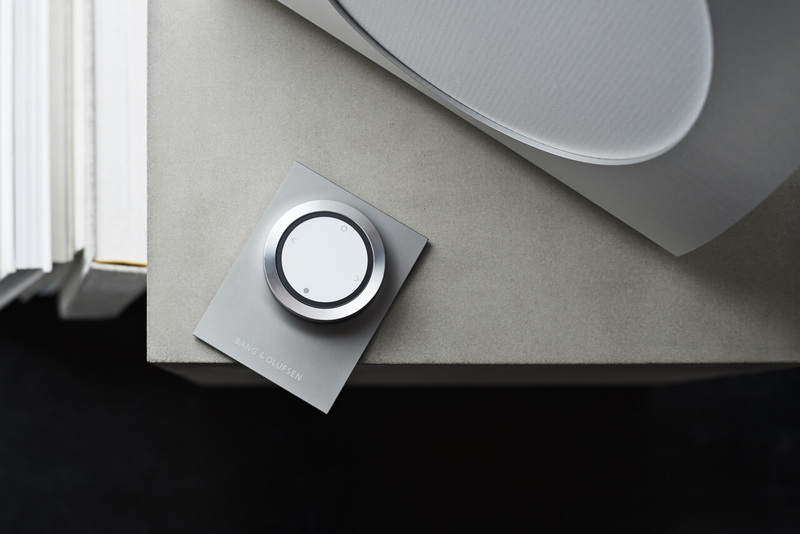 BeoSound Essence is a simple and elegant one-touch music system. 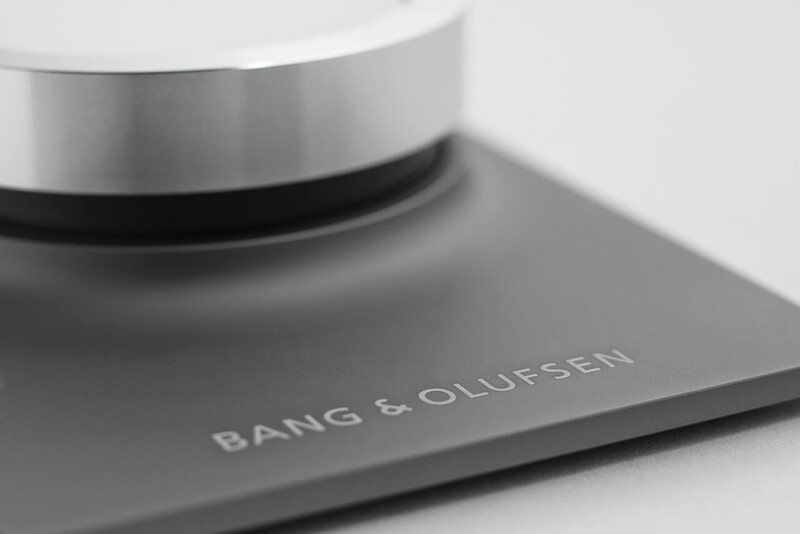 A completely new way to enjoy legendary Bang & Olufsen sound. For this sound system a newer version is available. A single touch is enough. Unleashing great sound is now as easy as turning the light on. You don’t even need your phone. Simply start playing the music where you left off last time with just one touch. 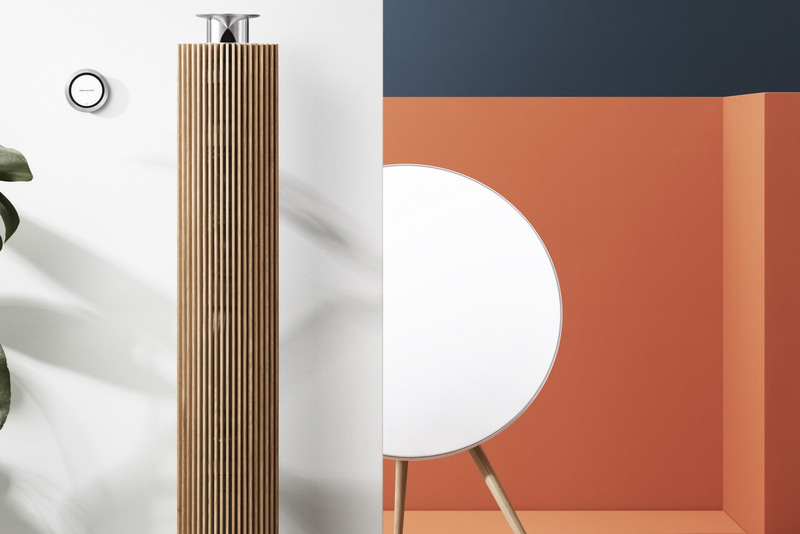 BeoSound Essence is an ultra modern audio system that gives you easy access to the music stored on your mobile devices, music services and internet radio stations - one touch is enough. Using the remote control of the BeoSound Essence all major functions can be controlled, so you can experience your music in high quality - and wherever you want. The BeoSound Essence primarily is designed for the casual music enjoyment, but the sound quality is still very convincing. BeoSound Essence offers a superb stereo playback in lossless FLAC format. 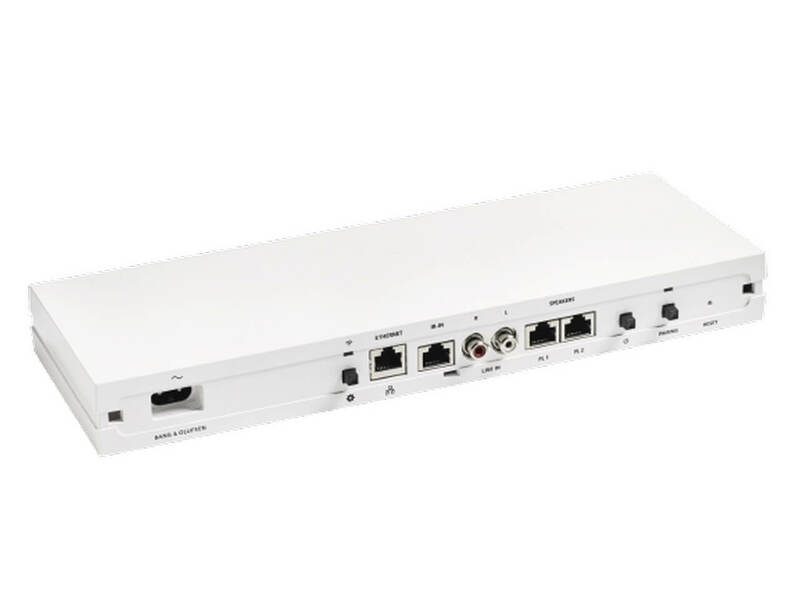 It supports MP3/MWA/AAC-formats with a compression of 320 kbit/s. The concept of BeoSound Essence consists of 3 components. 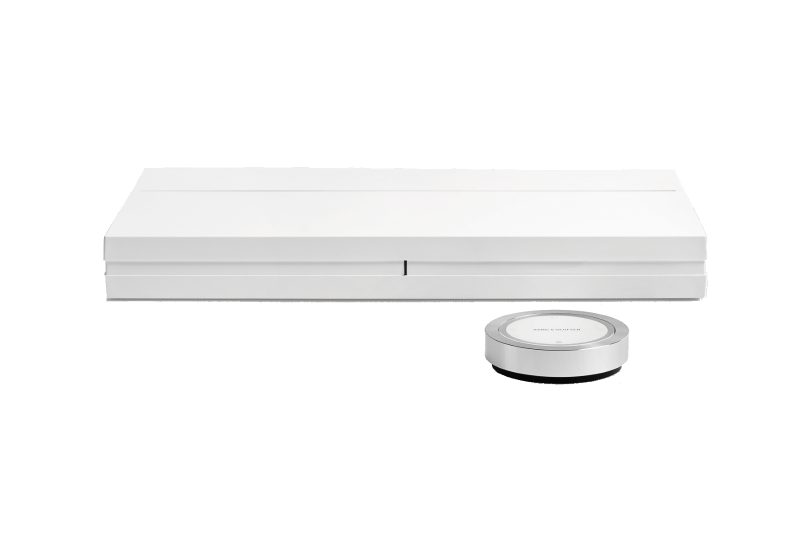 A discreet hideable box with DLNA-/Airplay- and Bluetooth connectivity that provides access to music services and Internet radio stations, a remote control for the BeoSound Essence - either as a table version or as a model for wall mounting and the BeoMusic App, which serves as an elegant interface to play music files that your mobile device retrieves from the cloud, to the BeoSound Essence. The few buttons on the remote are easily accessible and intuitive controllable to make listening to music a very simple pleasure. The access to the sources usable with the BeoSound Essence takes place via Airplay, DLNA (ie, access to your own NAS server or PC), music services - more specifically Spotify Connect (in 55 countries), internet radio with thousands international radio stations, or Line-in sources (AUX with load sensing function). 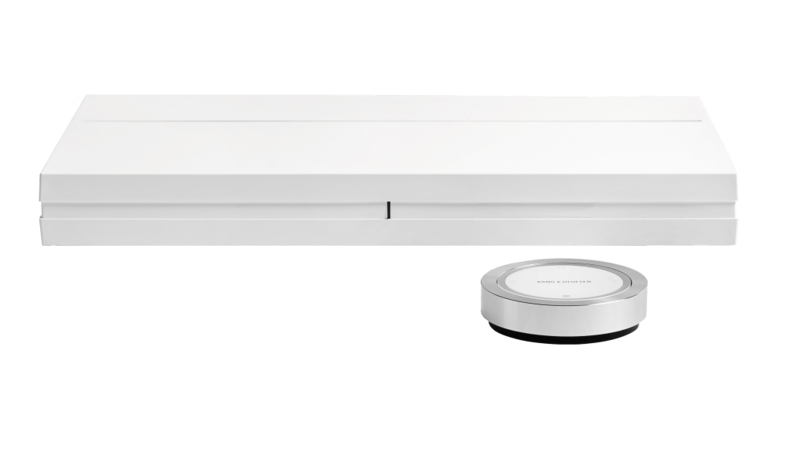 The BeoSound Essence can be a part of a multi-room configuration. 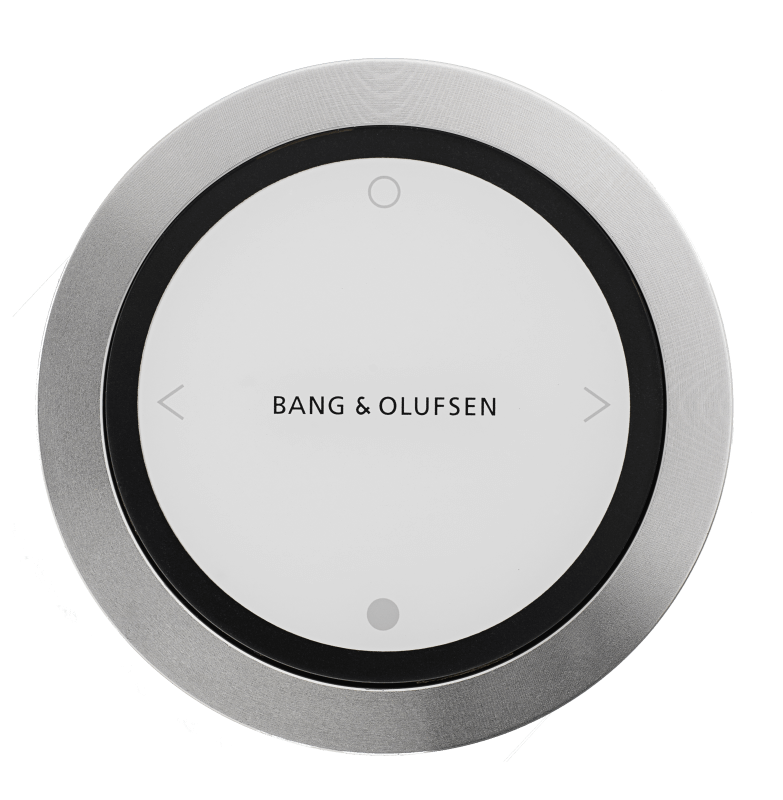 The Bang & Olufsen multiroom functionality allows you to play different songs in different rooms - or simultaneously play the same music in multiple rooms. All this happens wirelessly and without echo. 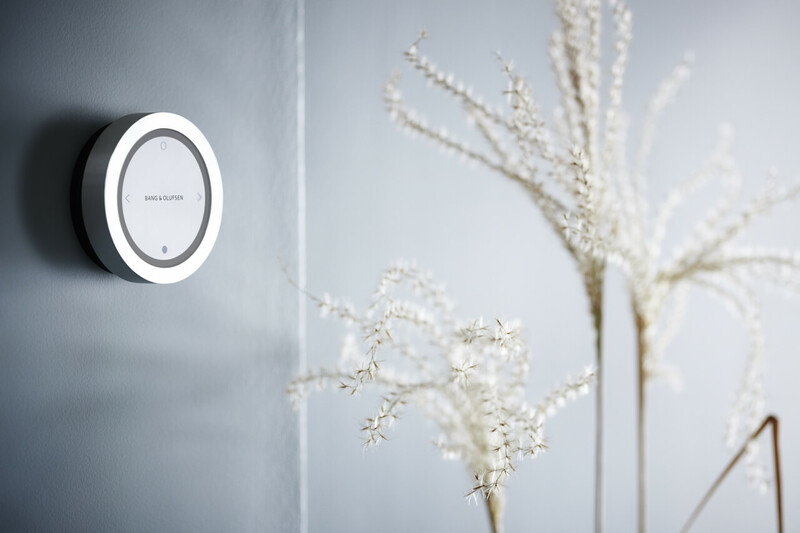 With a simple touch the sound is distributed to other rooms. 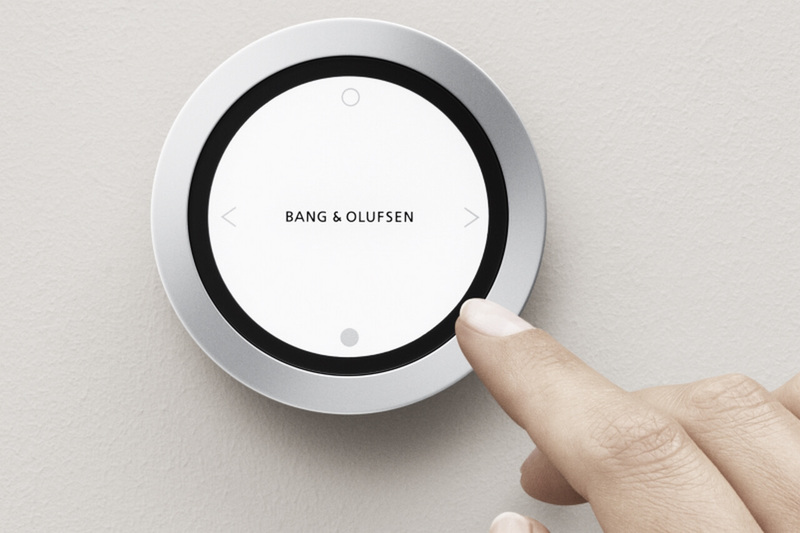 A single touch is enough to activate BeoSound Essence. 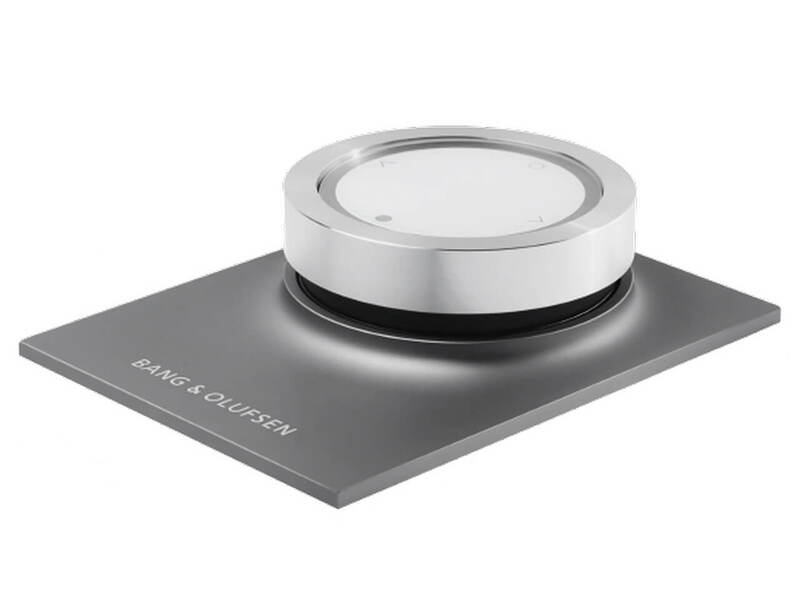 If music is already running on another product, the BeoSound Essence automatically switches to and plays the same music. To select another source you simply need to press the button on BeoSound Essence remote again. Discover how the music streaming from your smartphone or tablet works using AirPlay, Bluetooth or DLNA technology - or use the direct access to Spotify, Deezer, QPlay or TuneIn (Internet Radio Portal) the BeoSound Essence features. 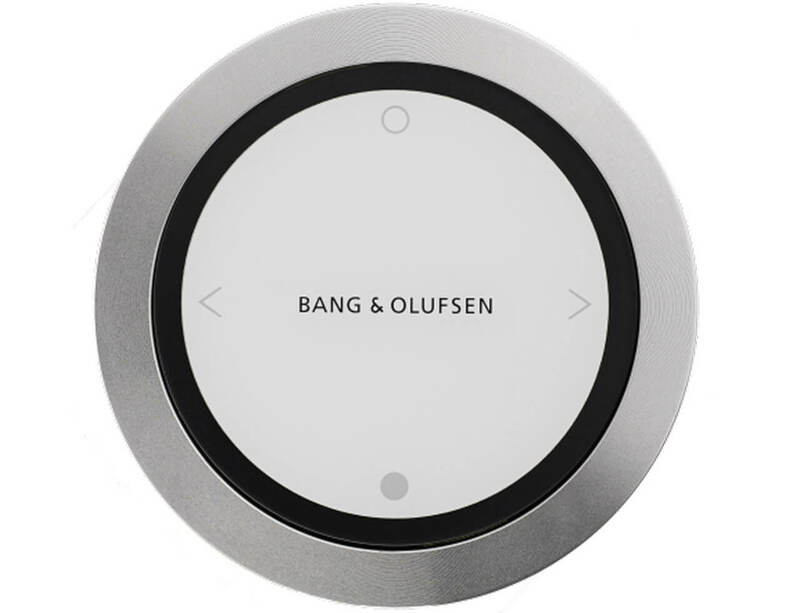 The remote control of the BeoSound Essence provides you various control commands with a single touch. By pressing the "PLAY" button (top button) the last source played is called again. If this source should not be available, for example because the mobile phone is currently outside the home, the next available source is selected. Use "Next" or "Previous" (left or right button) to change to the next or previous track/station on the same audio source. The volume control is done via the "Volume" ring. With two full rotations of the ring, the volume can be regulated up from zero to the maximum. Using the "Silence" button (lower button), the playback is interrupted stopped or muted (depending on the source). Experience BeoSound Essence MKII in your home.